RPA (Robotic Process Automation) technology is on the way to becoming a billion dollar market by 2020 with around 40 percent of large enterprises using at least one RPA tool, according to Gartner. The analysts suggest that RPA combined with artificial intelligence (AI) can reduce employee requirements by as much as 65 percent. Forrester Research found that fifty percent of respondents to a 2018 survey claimed that RPA removed significant mundane tasks from employees, allowing for better engagement with their work and customers. Respondents reported a 71 percent reduction in manual efforts, 57 percent improvement in customer service, and the same level of improvement in employee engagement. 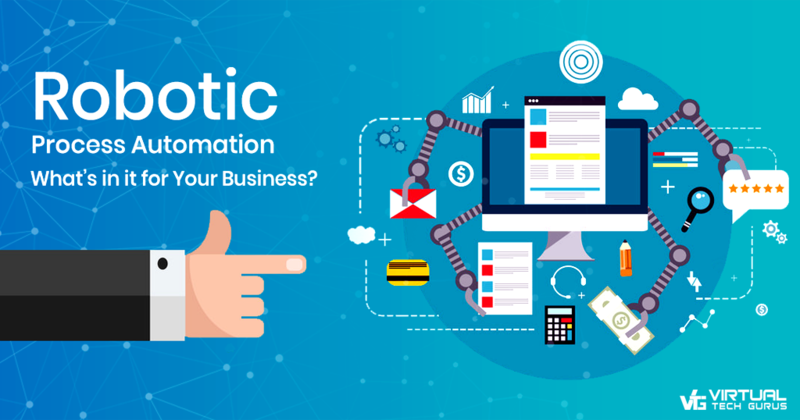 This transformation is possible because businesses can use RPA technology to automate routine rules-based processes, saving time and costs, and enabling employees to focus on higher-value tasks and roles. The website CIO.com explains how RPA technology enables developers to build robots capable of processing transactions, manipulating data, initiating responses and communicating with digital systems. The robots achieve this by mimicking human interaction with applications via an interface. By following simple rules the robots can make basic decisions with minimal requirement for human involvement. RPA could be used to automate a task as simple as responding to a standard request in an email, for example. However, because of the cost of developing and maintaining robots, their potential lies in larger-scale tasks such as automating thousands of jobs within an ERP system. Ultimately, this could enable businesses to automate entire processes – end-to-end. In the financial services sector, one firm deployed 85 robots to automate 13 processes and handle more than a million and a half requests annually. The firm claimed that the robots added the capacity of 200 people, but a less than a third of the cost of hiring additional staff. Given the potential benefits and opportunities of RPA technology, it’s important to identify use cases that will deliver the greatest return. The consultancy Deloitte believes that five characteristics can be used to carry out initial identification. The tasks should be repetitive, prone to error, rules-based, involve digital data and time-critical or seasonal. By deploying the technology in this way, Deloitte believes that businesses can achieve many important benefits. Top of the list is cost reduction, followed by decreased cycle times and faster throughput. RPA can also eliminate the risk of human error and support detailed data capture for analysis and planning. Benefits like these are important for businesses that want to scale without adding overhead, or focus their resources on innovation and higher value tasks. In the longer term, combining RPA with other advanced technologies such as machine learning and AI can form the basis for intelligent automation. The growing interest and awareness of RPA is encouraging businesses to take the first steps. However, the Forrester survey found that ninety percent of respondents reported that they lack trained resources to design, implement, support, and upgrade RPA technology. The firm recommends working with experienced vendors to overcome the skills challenge and to ensure that planning, development, implementation and maintenance follow best practice guidelines. If you would like to know more about RPA technology, please check out the articles and infographics on our website.